Good morninggg October, it's lovely to finally see you. It's suddenly gotten colder, I can feel it in the crisp air. It's hit me that it's officially Autumn, the beginning to my favourite time of the year. I'm in love with the warmth of over-sized jumpers, thick scarves and thick socks, It's time to throw all my summer items in the back of my wardrobe and I'm excited to get to the shops for more winter clothing. I purchased this outfit from Primark a few weeks ago and I've practically lived in it since. Last year tartan scarves became extremely popular and I missed out on picking one up. So when I found this white design, for £5 I knew it had to be mine. And the jumper is now one of favourites, I don't own anything khaki and I have a feeling this is going to be popular throughout winter, something about this jumper makes me feel so cosy. The sleeves are a little tight around the arms which gives you that cosy effect. I don't know, I'm just in LOVE with these two items and will continue wearing both until I can't stand the site of them anymore. Eeep, it's so much comfort in one outfit. I've had an extremely busy week of work and another ahead of me, so right now I'm wishing I was in something this comfortable instead of my work uniform. Ahh scarves and jumpers, you can tell Autumn is right around the corner can't you! So excited for snuggling up :) I love your scarf! Oh I know, I'm forever wanting to buy more jumpers especially. Half my wardrobe would be jumpers if I could wear them all year round!! I want a scarf wrap next, so it's acceptable for me to walk round feeling wrapped up in a blanket!! Primark is the best for autumn clothing - I bought a tartan scarf from there last year and its still going strong! Lovely outfit. Oh it really is, I'm forever wanting to buy more and more pieces from Primark!! eeep thank you so much!! Super cute outfit! Does that jumper have little slits at the sides? and the sleeves are kinda ribbed? If so, I own that jumper in 3 different colours because omggggg I love it! They're just so cosy aren't they!! eeep thank you so much!! What a great look! I love this! I seem to be starting a collection and I still want more!! Ahh I need that scarf, hope primark have some when I go lol. Lovely outfit. I missed out in Primark last year but they seem to have a fair few atm!! Oh definitely! 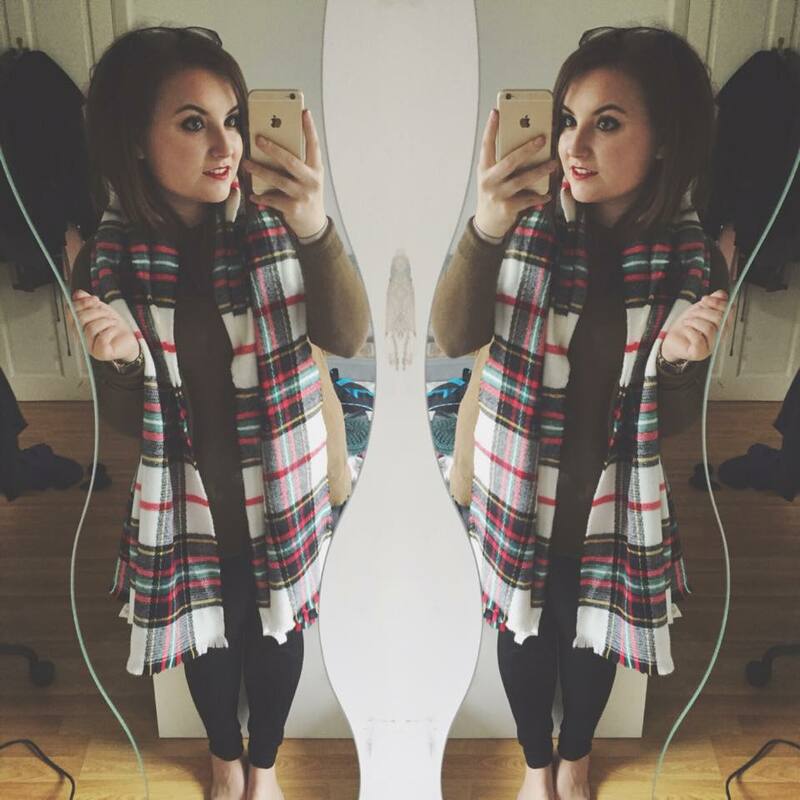 I'm envious, I need more scarfs (especially tartan) in my life! !